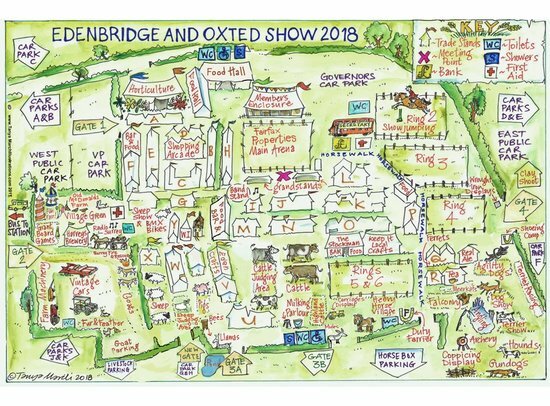 We were delighted last year to team up with the events staff at The Edenbridge & Oxted Show for their two-day Agricultural Show between Lingfield and Blindley Heath over the August Bank Holiday. 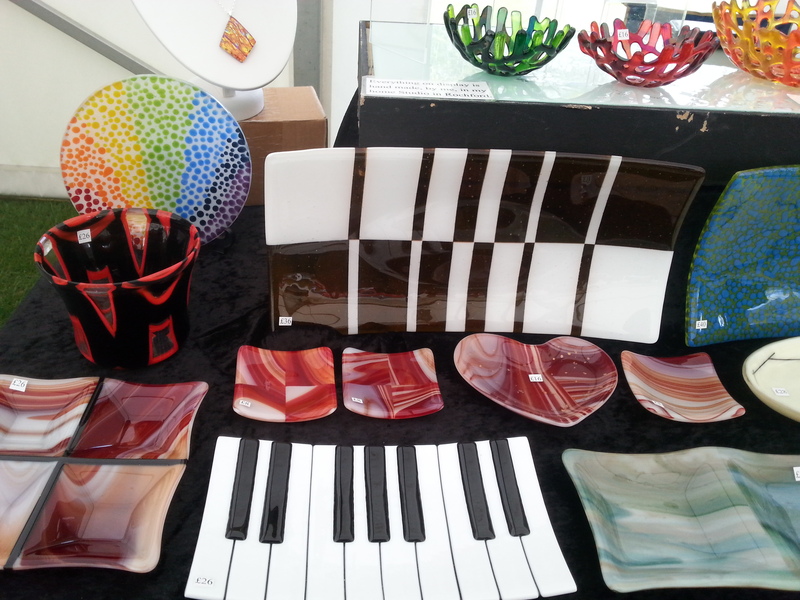 We were in a large, bright white marquee with around 40 stalls, smack in the middle of the very large show site. This well established show has been running on a ground the size of ten Wembley stadiums since 1837. Farm machinery, the animals, stunts, food, dogs, country pursuits and shopping dominate the proceedings and there is always something new to see every year for the many regulars the show attracts. 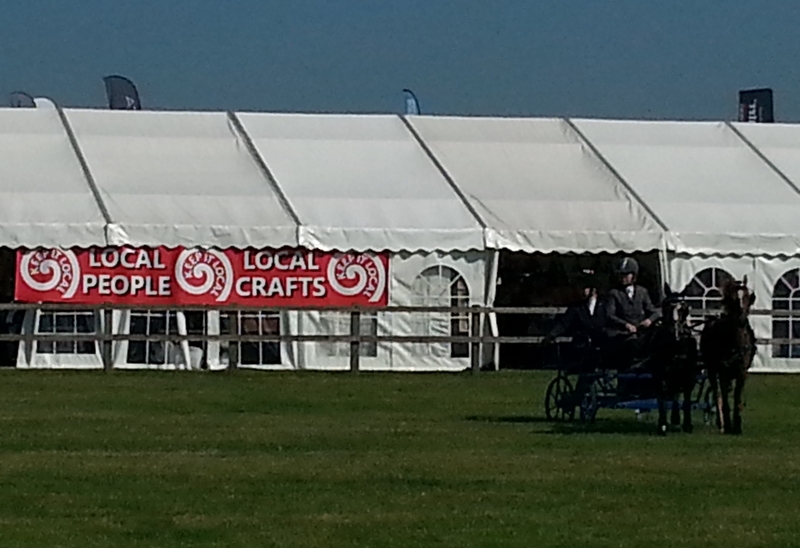 Our marquee, as pictured right, will house around 40 stalls. 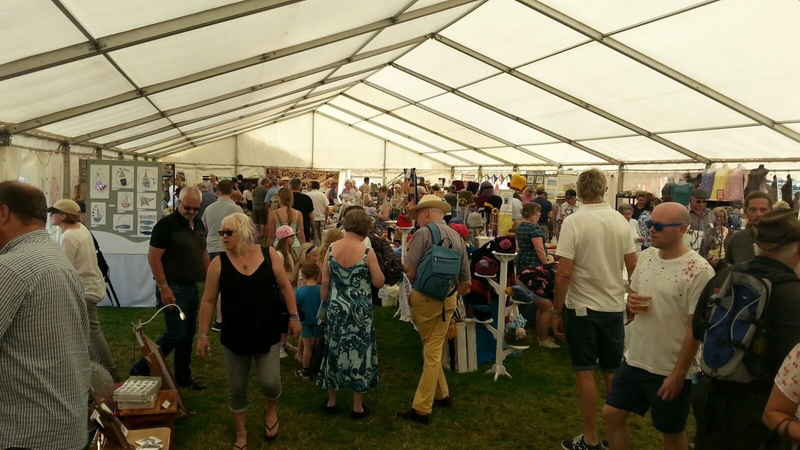 As it's such a long show and food/drink stops may be busy, we plan to offer our stallholders (only) tea, coffee and biscuits at nominal prices from our reception table. 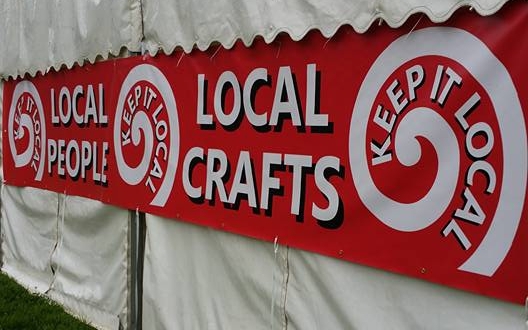 Our costs are higher than usual so we have to charge £30 per linear metre of pitch frontage (1.5m deep) per day and because the show opens so early on both days we are insisting that all stallholders attend on both days and set up on the Saturday. So a 2m wide pitch for the weekend will be £120.00. Not that much when you break it down - £6 per hour - equal to paying £24 for a four-hour village hall sale! Electricity is available for £15 per stall, tables may be hired for £12 and chairs for £4 for the weekend. Car parking is included and your stall fee includes passes for two people. Adult visitors are charged £20 entry fee to the show, concessions and advance tickets are available. The Ardenrun Showground is just off the A22 near Lingfield and Blindley Heath in Surrey, is easy to find and close to the M25 (6 miles south of junction 6) and is clearly signposted. Traffic management will be in place on show days. Click on the header to the right to open the show's website in a new window.